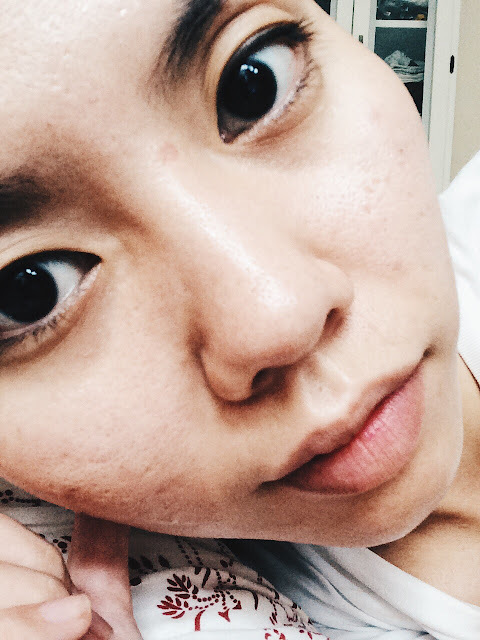 After using Estée Lauder's night ritual, I can felt my skin has transformed to a better condition but due to hectic schedule and staying up late (I mean really, really late, or should I say morning) my skin condition got worst, especially pimples and blackheads. I have no time to go for facial as well, hence I did this Blackhead 3 Steps Program by Innisfree at home. Step 1 to 3, easy peasy! 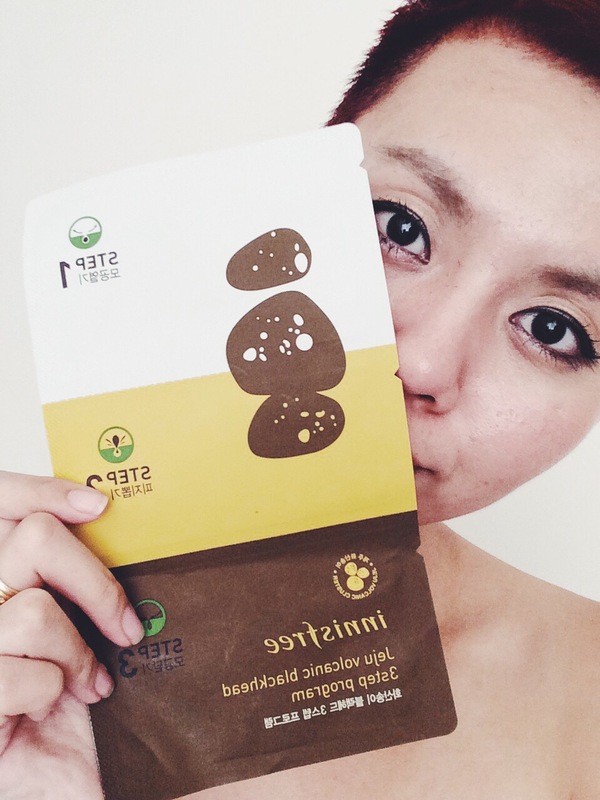 I've used Innisfree Jeju Volcanic Clay Mask before and I like everything about that mask, hence give this 3 steps program a try. I've tried Biore's before and sorry that doesn't work on me so I'm being a bit skeptical towards these blackheads strip regime. Let's see how's this Jeju Volcanic Blackhead 3 Steps Program works for me. Place the Step 1 strip on nose for 15-20 mins and it keeps slipping off. I can't really do much but only can lie down and scroll my phone during that time period. After 20 minutes, I peel it off and wipe off the sebum, saw the dirts on the cotton and got shocked at how dirty my nose were! 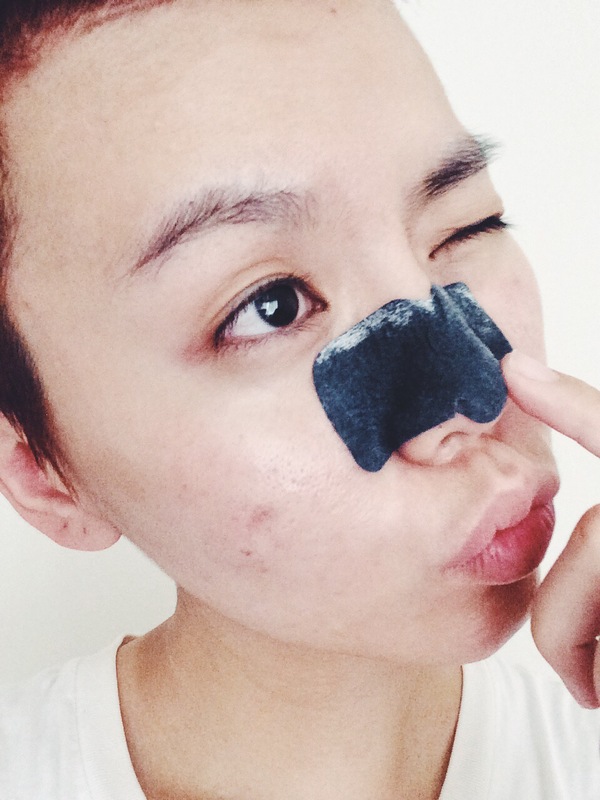 The Step 2 blackhead strip does smell organic as it is the mixture smell of volcanic elements and herbs. 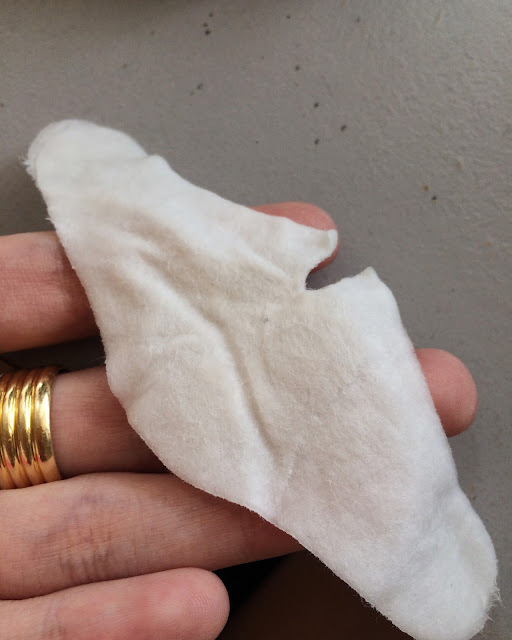 It is a bit tricky to apply the Step 2 nose strip as you can't over-wet your nose else the strip is gonna slip, and peeling it off after it dries is another tricky part as becomes hard and flaky, easily torn apart. But a tad bit disappointed is that I don't see blackheads being pull off and seems like nothing stuck on the strip. Was it because that my nose is full of whiteheads instead? Lol. I have no idea but the Step 2 seems a bit pointless in my case. Then I got a bit tired to take photo of Step 3 which is applying another layer of nose mask (lololol) which the photo will look the same as Step 1 so here's the end result after I've completed the 3 Steps Program of Innisfree Jeju Volcanic Blackhead. Well, aside from not seeing those pulled out blackheads, I do feel that my nose has become shinier and cleaner (must be the sebum clearing on Step 1 and nose mask on Step 3!) It is not very effective on clearing those stubborn blackheads on my nose as I still can see them stuck in my pores but it does look cleaner tho. 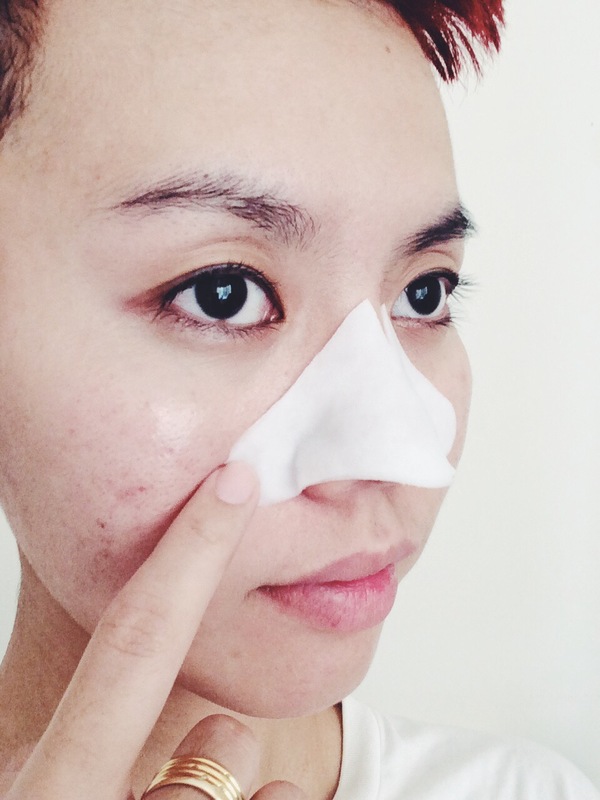 Convenient blackhead removing regime if you were to travel or doesn't have much time to do some cleaning of your nose area, but not so great in clearing those stubborn blackheads that will still stuck inside my pores and annoyed the hell out of me lol. *Bought this pack on Althea and I forgot how much!